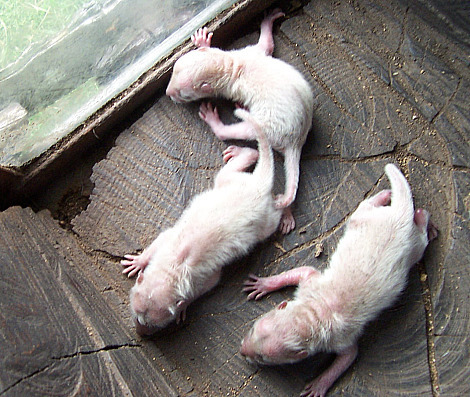 These are newborn crab-eating raccoons (Procyon cancrivorus). Well, it’s the other species of raccoon. Yep. There are two of them. Procyon lotor is the raccoon we North Americans know best. It is larger and shaggier. 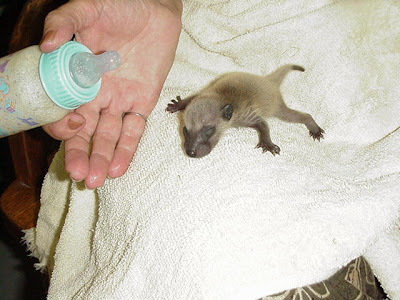 It also has a greater tendency to put on fat– an important adaptation to raccoons that live where winters can be long and harsh. The newborns of this species look a bit like these little crab-eating raccoons, but they are darker in color. Crab-eating raccoons are native to Panama and Costa Rica and much of northern South America, as well as Trinidad and Tobago. They are smaller and more slightly-built animals with shorter coats. I was not aware of a second raccoon species until a few years ago. I saw a documentary about Brazilian animals, and it very briefly showed a raccoon. In the days before Google was available, I played around on the old search engines until I got an answer. You know this has to be a working golden retriever in Europe. 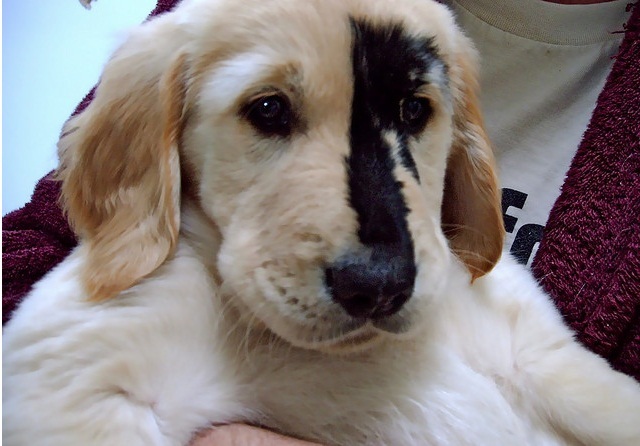 And this dog is. I got this image off the TjäderAndens Kennel in Sweden. (Link to the kennel’s blog). Europeans want their dogs to retrieve fur. This takes this desire to a whole new level. 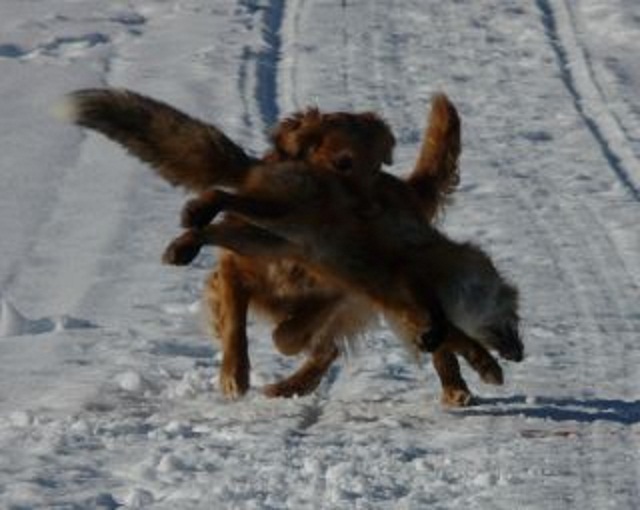 I’ve seen photos of German HPR’s retrieving foxes, including gray foxes in the United States, but this is the first image I’ve seen of a golden retriever doing it. Not that I doubted that they could do it. It’s just that no one from this country ever asks them to. Hat tip to Dave at the Little Heelers blog. He wanted me to see a kennel that had both performance-bred retrievers and Finnish spitz, but I jumped when I saw this golden carrying a fox. I should note that the Russian have trained a very close relative of the Finnish spitz to retrieve ducks and even hold events that test the retrieving abilities of these dogs. Ruffo and Beldia, Queen Victoria's Maremmas or "Italian mountaineer dogs." 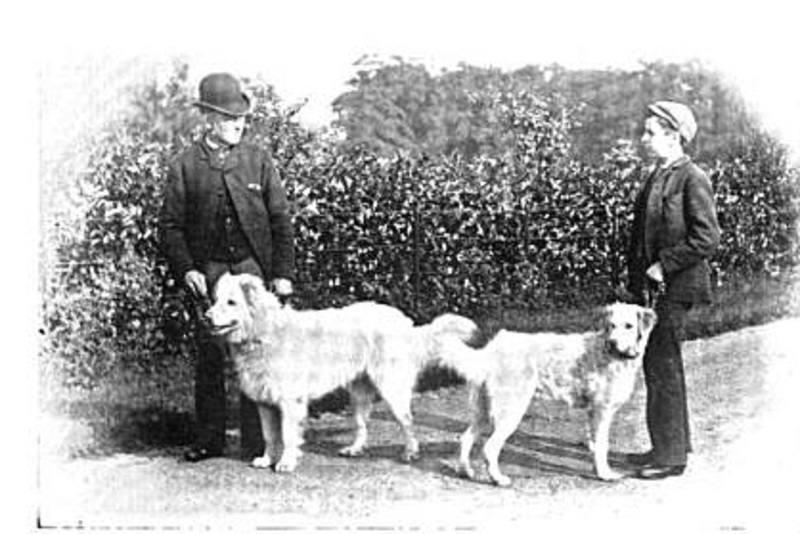 This image comes from a Country Life Illustrated article entitled “The Queen’s Kennels at Windsor” (20 February 1897). Two of the most interesting dogs at Windsor are the “Italian Mountaineer” dogs, Ruffo and Beldia, selected in Italy about two years ago for her Majesty. They are whole white dogs, except for a lemon tinge on their ears. Their size, that of a Newfoundland, which they also resemble in shape. The eyes are hazel and the noses pointed. They are, I believe, the sheepdog of the Italian and Spanish shepherd. 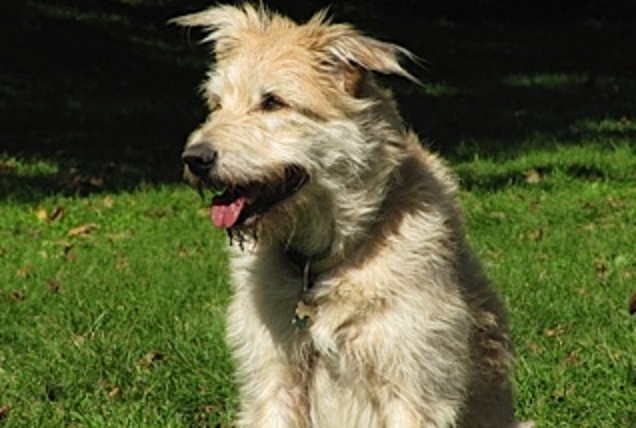 They are most lovable in disposition, while possessing every trait of a good guard and watchdog. Ruffo is stationed at the gate or main entrance to the Castle, under the charge of Elmers, who is proud of his charge (pg.185). Reader Kim Bates sent me this photo of her Labrador/Bouvier des Flandres cross named Sylvie. She is almost twelve years old but still loves to swim and retrieve. This is a cross between two of the most versatile working dog breeds, so it is likely to catch on as a performance-bred crossbreed. These dogs belonged to a Mr. Chapman of Glenboig, Scotland. They were featured in Country Life Illustrated on 8 May 1897. 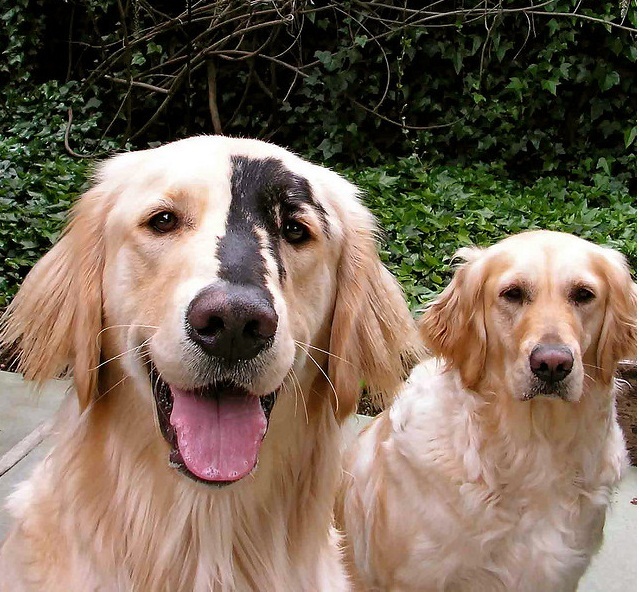 These dogs, especially the one on the left, are very retriever-like. The one on them left may actually be a retriever, but it is not outside of reason for a Gordon setter to have those features at that time.